Plywood has become an extremely popular material for a wide range of applications where flat straight wood panels are needed. Although once considered only to include wood panels made from alternating veneers, laid at 90 degrees to each other, today’s plywood products include a wide variety of engineered products, specifically produced to meet the growing variety of industrial needs. The prices of plywood presented in the charts on this page are sorted by plywood type and thickness. This will help you to choose the type wisely between ACX and CDX, HDO and MDO, Luan and Birch, OSB and Marine grade plywood. 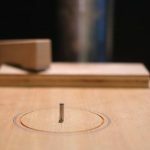 As you can see from the charts, you can a considerable amount of money when buying just 1/8” thinner boards, which can be up to 30 percent cheaper. The cost of plywood products vary extensively depending upon the thickness of the plywood, the types of wood used to make or finish it and the type of construction. 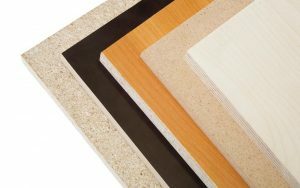 Within any category of plywood, pricing increases rapidly much with thickness. The first table contains the prices of the most common types of plywood, while the second one is mostly based on hardwood. Note that this information is gathered from several hardwood stores and may not represent the actual market value in your location. Be sure to check the actual price and availability from your local suppliers. Plywood is generally divided into three categories: hardwood plywood, which is used for cabinetry and furniture making; softwood plywood, which is used for construction; and engineered woods, which are those that don’t fit the “typical” definition of plywood. These engineered woods take on a wide variety of appearances and characteristics, each being designed to meet particular needs. Engineered plywood is most commonly used for utilitarian purposes, where appearance is not as much of an issue as it would be in cabinetry and fine furniture. However, as the appreciation for these materials is growing, they are finding their way into more and more applications, especially where durability is an important factor.